he had all the right reasons to be excited. My first thoughts on hearing the name 'Taif' were those of Islamic Studies classes back in school where we read about the incident when Prophet Muhammad (p.b.u.h), in hopes of finding a sanctuary for the believers, made an unfortunate visit to Taif. That was pretty much all I knew about the city. Turned out that in today's Saudi Arabia, Taif is better known as the 'unofficial summer capital of the Kingdom'. 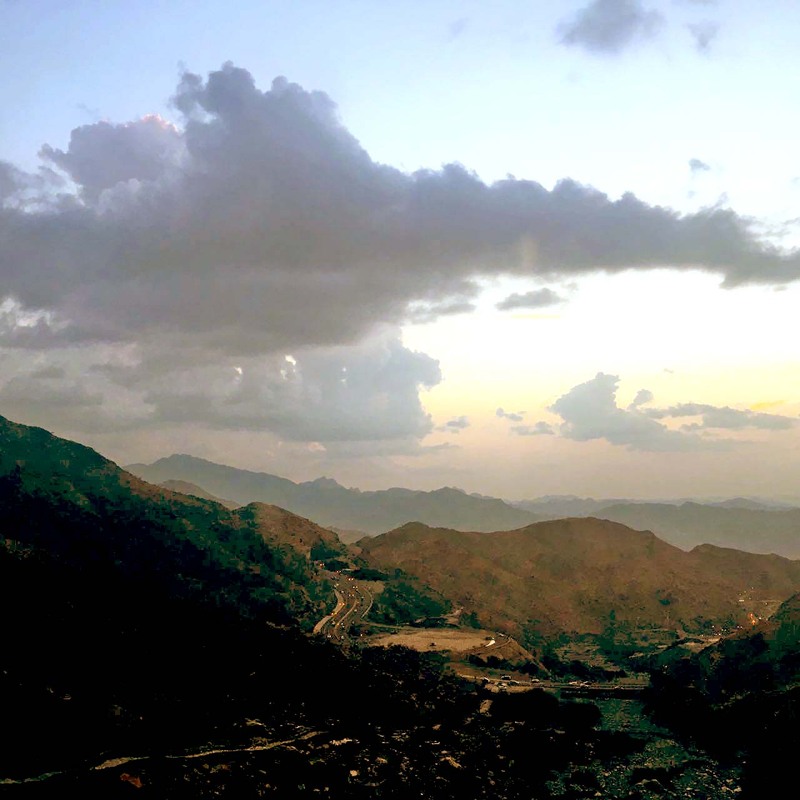 When the notorious desert heat kicks-in and Riyadh starts boiling, Taif is the hill-station with summer resorts where the royal family and the riche-rich Arabs take refuge. For the Pakistani readers, basically it's the Murree of Saudi Arabia (add fancier infrastructure and subtract the Mall Road crowd). I remember entering the city for the first time and getting very Islamabad like feels. My love for Islamabad is eternal so that was a great start. 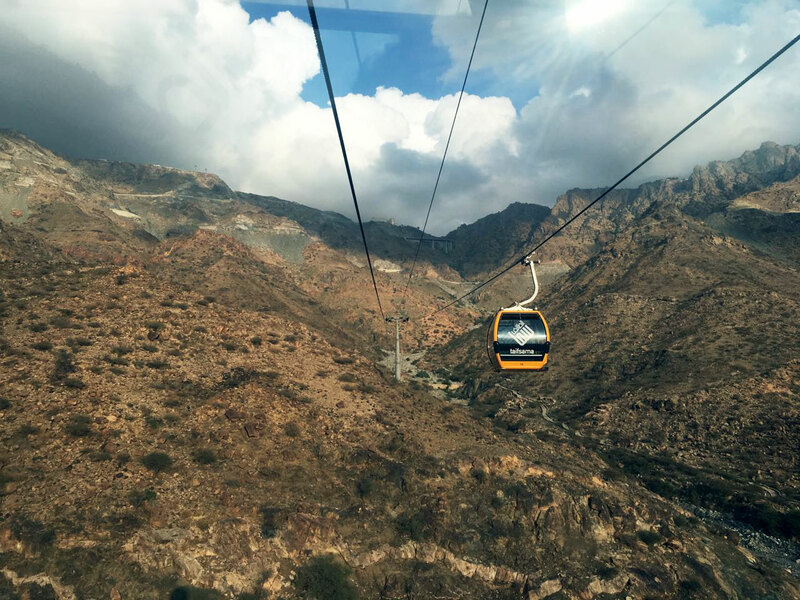 Taif is in contrast with the typical Saudi landscape. You drive up to a mountain to reach the city and a colorful fruit market welcomes you right at the entrance. Why? Because it is an agricultural city famous for its grapes and pomegranates, which are actually quite yum. 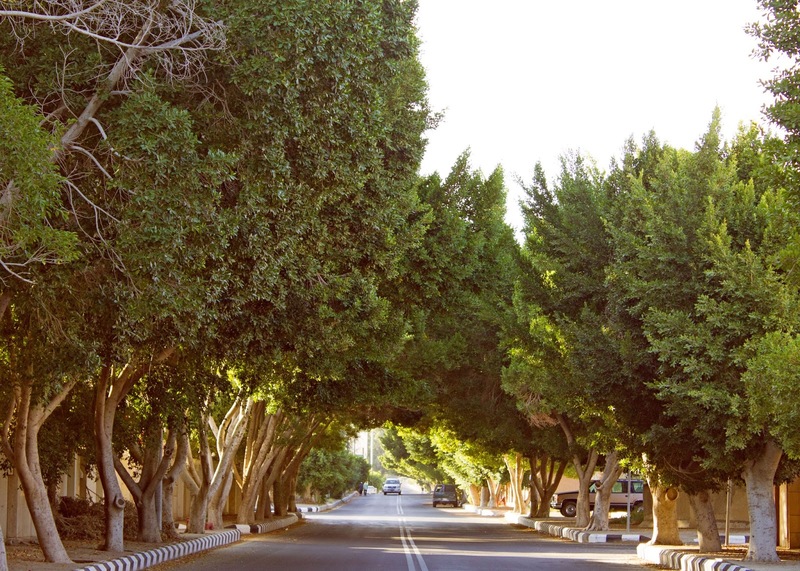 Resting on and surrounded by hills, the city is 'green' by Saudi standards. Yes, quite green, which is a huge deal. 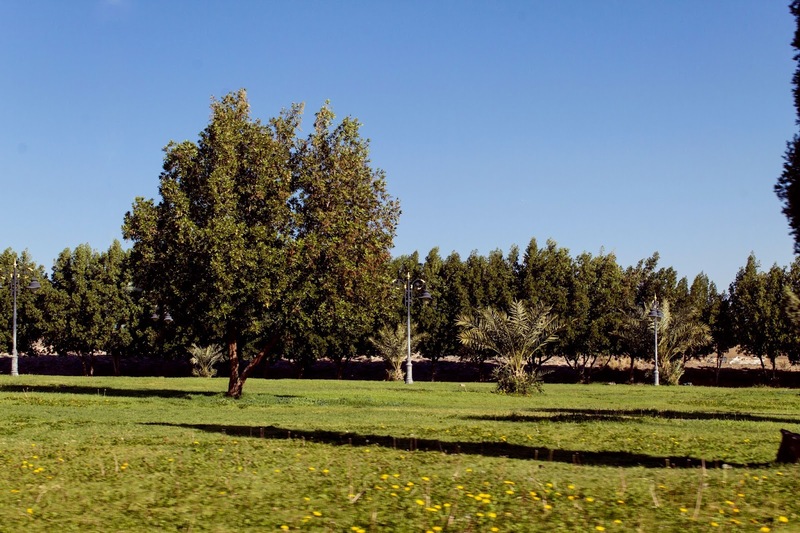 We once had guests over from Jeddah and their kids could not believe they could feel actual grass in the parks of Taif. I have lived in 'big cities' all my life- Lahore & Karachi mainly. 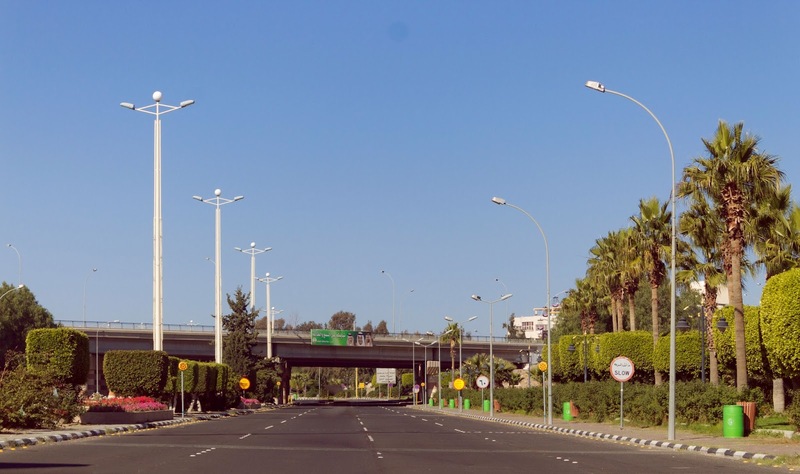 Taif is a fairly small town in comparison and there are obviously pros and cons of it. I turn into a tomato in summers because of severe eczema and its makes me mad. Love lahori winters but only as long as I can stay curled up in a blanket with a cup of tea. Understandably then, Taif's weather is perfect for my liking. The air is dry, the temperature moderate and it is generally breezy throughout the year. No sweaty and humid summers or wet and shivery winters. It rains every other day during the summer months and even hailed once in the last winter. I thought husband was kidding me until he sent pictorial proof of those little balls of ice. Two hours drive away from Jeddah and just 45 minutes drive away from Makkah. Beat that! It is such a blessing. We get to be away from the rush of the Holy City during peak Hajj & Umrah season and also get to enjoy the benefit of visiting whenever we want to. Another great advantage is the option to meet your family and friends who visit for Umrah. Owing to Saudi visa rules, we cannot bring any umrah visa holders to Taif and visit visas are almost impossible to get for anyone other than the immediate family. So living in Taif is a big plus for those short trips to say hello to someone. 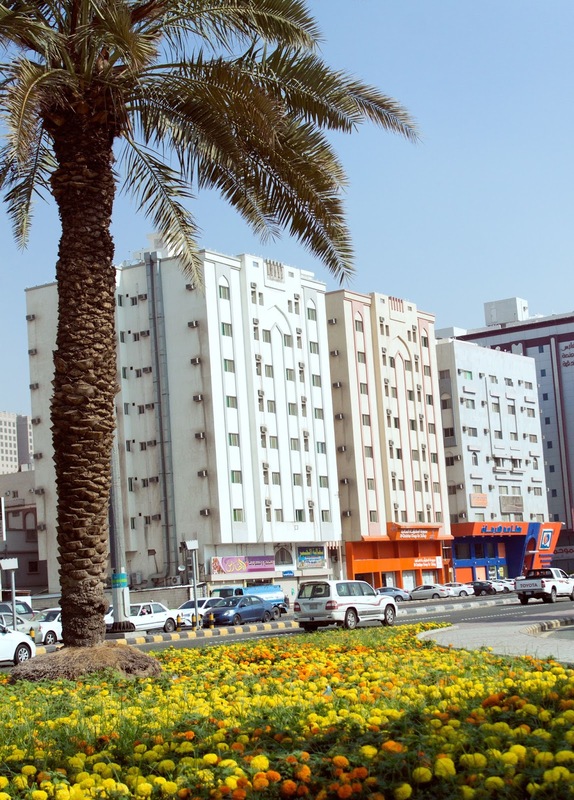 Compared to Jeddah, the work routine is a lot more relaxed due to the seasonal nature of the city's market. 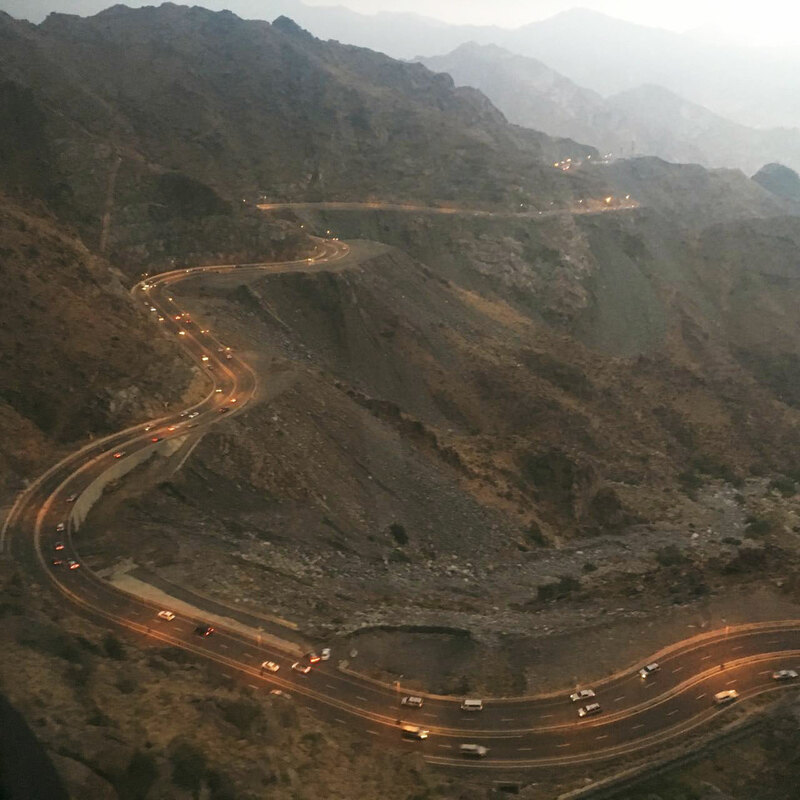 The daily commute, which is a nightmare in Jeddah owing to insane traffic, is no problem in Taif and allows for a lot more extra time at home. 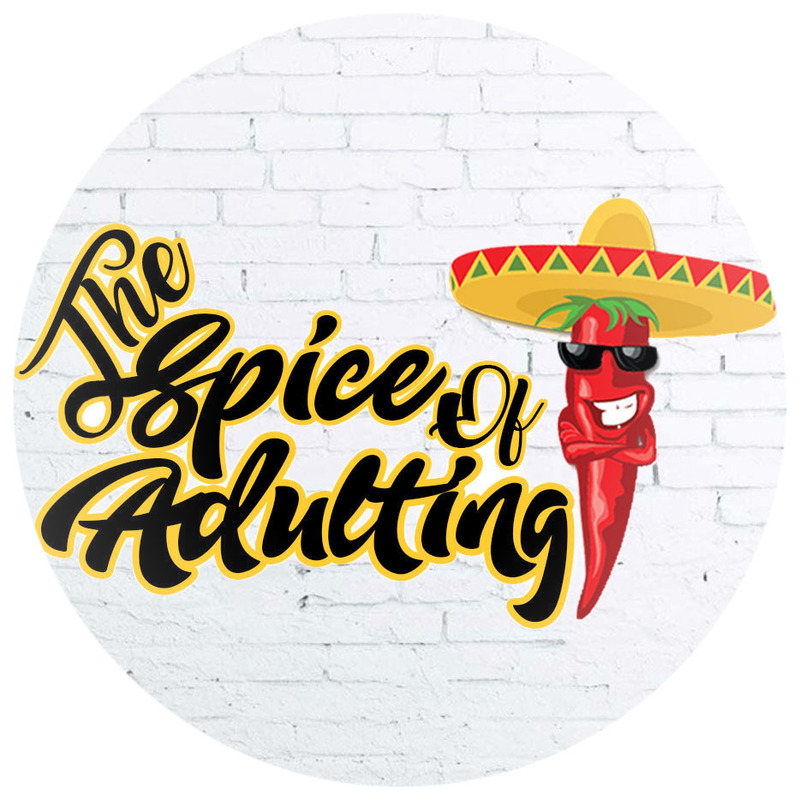 This was a huge contributing factor for my quick settling in because husband enjoyed had flexible work hours and I did not have to be home-alone all day long. 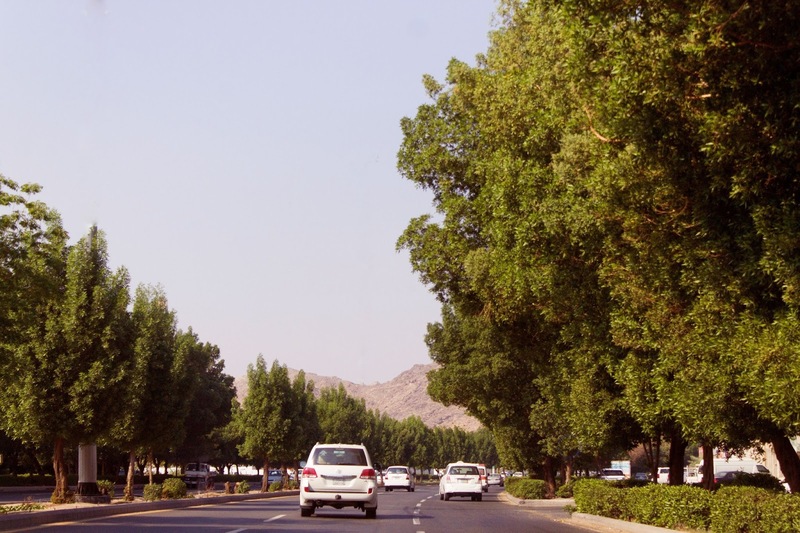 There are parks, parks and more parks in Taif. I used to wonder if there are even enough residents in the city who can fill these huge parks!?! And yet, in the summer months, even the green-belts on the roads are filled with families chilling on their carpets, fully equipped with their food platters and ground seating arrangements. Gazing at the stars, some family members lying down, others busy chatting and eating, kids playing around and actually having proper physical activities - a common sight to behold. The popularity of outdoor gatherings used to amaze me initially since we have long lost the parks and outdoor culture in our big cities in Pakistan. I love how this culture allows for their children to be involved in outdoor activities instead of being glued to tv or mobile screens inside their houses. The better part of their evenings is spent running around in parks, just like it should, instead of sweating in McDonald's play-place. Unlike the huge expat communities that reside in Jeddah, Riyadh and Dammam, there aren't many expats here in Taif. 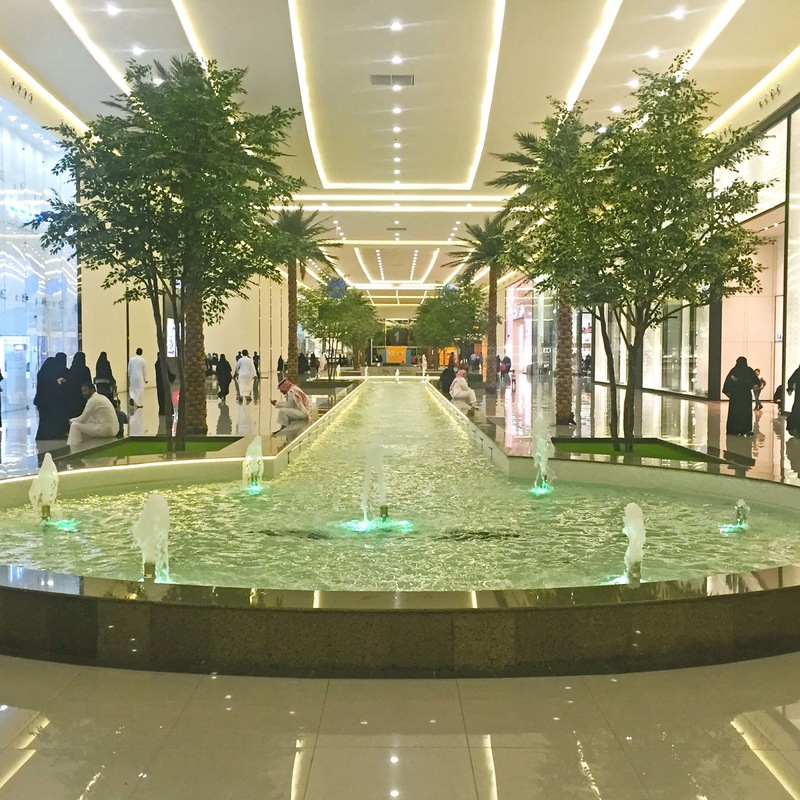 So if you love socializing and absolutely need to have a community life, Taif would be a difficult place to live in as an expat. In my case, husband and I are shameless couch potatoes and would always prefer a quiet evening, watching a movie in our living room, over going out and meeting new people. Hence, the lack of like-minded people to hang out with was not a big deal to us. You'll find major international fast food chains in Taif but fine dining options - not as such. Owing to the absence of expat population, almost all eating-out options are either local food (which I still haven't developed a taste for) or fast food. Luckily, Jeddah is only 2 hours away - off we go on weekends to satisfy our P.F Chang and Cheesecake Factory cravings. The only positive out of this situation is that husband and I are forced to venture into the kitchen once in a while and try our hand at cooking for each other. Have learnt a thing or two in the process. The corporate scene is almost non-existent in Taif, so if you're a female and plan on finding a conventional office job, hard luck. However, there are several schools and universities which welcome expat females for teaching and administrative positions and they offer very handsome salaries. I had already made up my mind to do my own thing for a while and not continue a corporate job, otherwise this would have been a deal-breaker for sure. I have no idea how long will we be living in this city, but I do know that it has been just the right 'first home' for us in this country. When we decided to move to the Kingdom, we had no idea Taif was even on the list of our 'potential home city' options. In retrospect, we could not have made a better choice had we been given the liberty to choose. Indeed, Allah knows best. Hope you enjoyed visiting my new home. Thanks for dropping by! Welcome to Saudia! I live in Dammam and have never been to Taif, I really want to visit after reading your post. It looks very different from most parts of the kingdom. Hope you a great time in Saudia!